I'm an old fan of Alien Skin products. So, to be fair, I'm admittedly biassed. That being said, I wanted to take a look at Exposure 3 to see if I could use it in the workflow. There's a number of things that I really like about this version of Exposure. First, I like all of the choices of film types. In my test, I took an image that was in colour and a bit soft. It was an image that I needed to clarify to discover tool marks / identifying marks on a shell casing. Exposure 3 had the film selection that I was looking for - a b/w choice in this case. Another nice thing is the fact that the plugin puts the filter info into the layer that's created. How cool is that? At $249, it's a bit on the expensive side for a plugin. But ... you'll more than make up for the price is time savings. Yes, it's that good. Also, there's a free trial available. Try it and see for yourself. With the trend towards putting inexpensive digital cameras in the hands of novice shooters, the quality of crime scene photos is going down. Long gone are the days when an actual Photographer would show up with the appropriate lens/body/film combo to make the shot "just right." 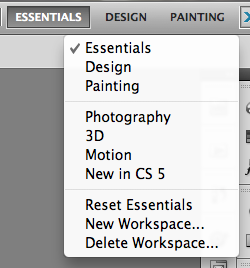 With Exposure 3, you can get some of that back in Photoshop CS5 without spending a ton of time. 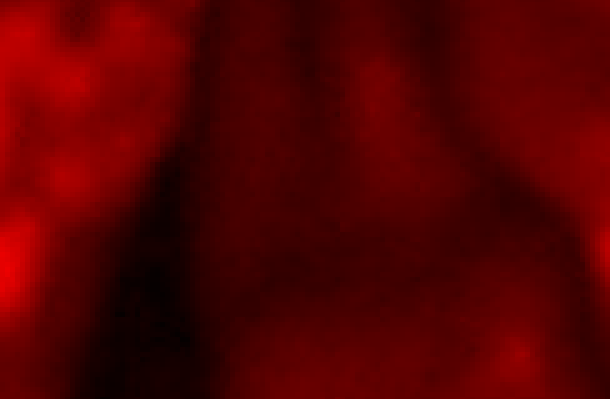 Color Subsampling, or What is 4:4:4 or 4:2:2? From Adobe's Karl Soule: "In the video space, there's always a lot of talk about these number ratios - 4:4:4, or 4:2:2, or 4:1:1, but what exactly do they mean? Recently, someone argued with me that it was better to convert every video clip from my Canon Rebel T2i DSLR camera into a 4:4:4 intermediate codec before editing; that this would make the color magically "better" and that editing natively was somehow bad. They were wrong, and I'm going to explain why. Before you read on, make sure you've read my earlier articles on 32-bit floating point and on YUV color, and look at the picture from the Wikimedia Commons site of the barn in YUV breakdown. In the picture of the barn, try to look at the fine detail in the U and V channels.Typically, without any brightness information, it's hard to see any detail in the color channels. The naked eye just does a much better job distinguishing brightness than color. This fact holds true for moving pictures. If the video uses YUV color space, the most important data is in the Y channel. You can throw away a lot of the color information, and the average viewer can't tell that it's gone. One trick that video engineers have used for years is to toss away a lot of the color information. Basically, they can toss away the color values on every other pixel, and it's not very noticeable. In some cases, they throw away even more color information. This is called Color Subsampling, and it's a big part of a lot of modern HD formats for video. When looking at color subsampling, you use a ratio to express what the color subsampling is. Most of us are familiar with these numbers: 4:4:4, or 4:2:2, or 4:1:1, and most of us are aware that bigger numbers are better. Fewer people understand what the numbers actually mean. It's actually pretty easy." From Adobe's Julieanne Kost: "You can create your own lens correction profiles to use with Adobe Photoshop CS5 and Adobe Lightroom (for less common camera and lens combinations) using the free Adobe Lens Profile Creator utility available on the Adobe Labs site. Specifically, Lens Profile Creator characterizes three common types of lens aberrations, namely the geometric distortion, the lateral chromatic aberration and the vignette. The general process of creating a custom lens profile for your lens involves capturing a set of checkerboard images using your specific camera and lens, converting the set of raw format images into the standard Digital Negative (DNG) file format using the Adobe Camera Raw processor, and importing the raw DNG images (or the JPEG/TIFF images if you prefer creating lens profiles for the non-raw workflow) in the Lens Profile Creator to generate the custom lens profile. You could also submit the lens profiles that you have created for your lens from inside the Lens Profile Creator to share with the rest of the user community." I look forward to giving this a go with CCTV lens/body combinations. It should prove an interesting diversion. From Adobe Labs: "Adobe Audition for Mac, coming in a future release, will bring modern audio post-production to the platform of your choice. Familiar tools for audio editing, multitrack mixing and recording will meet expanded device support, greater workflow flexibility, and optimized performance. Plus, best-of-breed audio restoration tools make it easy to clean up production audio. With the essential tools you rely on for fast-turn projects, Audition for the Mac brings a fresh face to audio post-production. We expect to make a public beta of Audition for the Mac available in Winter 2010. Sign up to be notified when the public beta is available. Fast start-up, high performance multi-threaded processing, and parallel workflows"
From the Acrobat for Legal Professionals blog: "Sticky Notes are probably the most common method used to add notes and comments to PDF documents. The Forensic Photoshop road show will make it's next stop in Commerce, Ca on July 21, 2010. Get hands-on training with Photoshop CS5. This class is a basic level class for law enforcement and military. Here's the flyer from LA HIDTA. A reader sent in a link to an archived eSeminar hosted by Adobe's Colin Smith entitled, Adobe Acrobat 9 and Creative Suite 4 for Forensic and Law Enforcement Professionals. The reader was confused (rightly) as the host described two differing workflows for Law Enforcement. The two workflows, "Investigation" and "Court Presentation" are a bit confusing as described. Essentially, the host argues that during the investigation, anything goes, expediency rules. As such, this workflow, according to Smith, is not reproducible. He encourages users to "get creative" and "push the envelope" "[using] any means possible" to "reveal any data" and "extract evidence." While I'm all for pushing the envelope, it is possible to do so in a way that's reliable and repeatable. Why Smith would advise law enforcement users to use a workflow that is not repeatable at any step of the process is beyond me. Everything that we do, every step we take in getting from evidence to arrest is discoverable. Our notes, our processes, our SOPs, and etc. are all subject to discovery. Law Enforcement and Forensic Professionals are subject to the same rules throughout the length of their casework. We don't get a pass on work done leading up to an arrest, simply because we were in a rush to clear our cases. Everything we do has to be repeatable and reliable, or it's not science. With all due respect to Colin Smith, if it's not reproducible, it's art - not forensic imaging. From Adobe's Todd Kopriva: "Adobe has been putting out several white papers, workflow guides, and other materials to give the nitty-gritty details of how to work with several high-end cameras and formats." Check out this outstanding guide by clicking here. From Officer.com's Aric Dutelle: "When the State of Wisconsin finally made the move to convert its state crime laboratories from conventional film to digital photography, it signaled an end to the use of a form of crime scene documentation and evidence photography that had been used in criminal investigations for over 136 years across the United States. The first recorded criminal case introducing photographs as identification evidence was Udderzook v. Commonwealth in 1874. Criminal cases have shown the importance of color since the 1960s (State v. Conte, 1968), when in a case depicting graphic wounds to the victim, photos were admitted as evidence. Criminal cases have continued to make use of photography to document evidence and create a visual story of what occurred, or was found at, the scene of a crime; however, the technology associated with the process has changed significantly over time. The criminal justice community began utilizing digital photography approximately 15 years ago, although at that time the only affordable option was low-resolution digital equipment. Many agencies saw the benefit of digital photography's universal format, however realized that the resolution available was not appropriate for identification, examination and courtroom purposes. Therefore, the majority of agencies chose to keep film cameras until digital systems' resolution began to approach the level found in film resolutions. During this transitory era, many agencies required that both film and digital images be taken of pertinent evidence. The past several years have seen a rapid increase in digital technology with regard to image resolution, which has resulted in the ability of agencies to phase out their film-based photography systems. 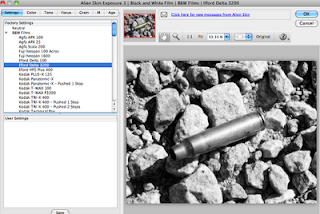 Processing film is now a thing of the past, as is submitting film as photographic evidence. From the University of Liverpool: "Researchers have found that witnesses who receive guidance on cross-examination techniques present more accurate court testimony than those who are unfamiliar with the style of questioning. The study, by researchers at the Universities of Liverpool and Leeds, showed that the construction and phrasing of ‘lawyerese' questions can inhibit processes in the brain that impact on how a witness responds under cross-examination. The use of complex questions, containing multiple parts, double-negatives and advanced vocabulary may affect the brain’s ability to filter and streamline information effectively. Researchers showed more than 50 participants footage of a staged crime, as though they were eye-witnesses, and then subjected them to the kind of questioning techniques they might encounter in court. They found that participants, who had been given prior guidance on cross-examination techniques, were seemingly able to add to their understanding of the cross-examination process, so that when they encountered complex questions in court they were more able to respond appropriately and less likely to make errors. Dr Jacqueline Wheatcroft, from the University’s Centre for Investigative Psychology, said: “Witnesses who come to court to give evidence have ‘schematic’ structures of experience. These structures allow the brain to organise knowledge around themes or topics. They act to streamline information so that we can cope effectively with daily life. We believe that exposing witnesses to the techniques used in cross-examination before they enter court, engages these structures, allowing the witness to organise their knowledge of events so that information can be accessed more easily in response to complex questions. From Evidence Technology Magazine: "... A well-trained document examiner knows to examine all the physical features of a questioned document, not just the questioned signature. There are dozens of components to consider when examining a signature or a document. Characteristics to consider include the writing medium used and the surface it is written upon, the age of the paper or ink, and watermarks. "Hey Jim, what are stack modes for?" was a question recently submitted by a reader. Good question. But first, how did we get there? Open Bridge CS5 (I'm using CS5, but you don't have to. If you have an older version, give it a shot.) and select a series of similar images - like 5 or 6 frames of video that you want to "average" in order to remove noise and reveal details. 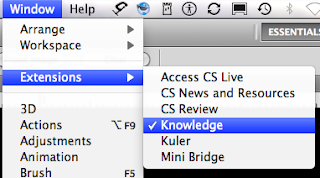 Within Bridge CS5, select Tools>Photoshop>Load Files into Photoshop Layers. The images are then loaded into Photoshop CS5 as layers of a single image. 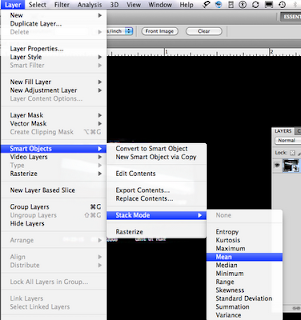 Next click on Select>All Layers then Layer>Smart Object>Convert to Smart Object. This will get you to the point where we can talk about Stack Modes. In using the Mean Stack Mode, Photoshop looks at the layers and calculates the Mean channel values for all non-transparent pixels. This is a great noise reducer and works a lot like the old "frame averaging." In doing it this way, however, Photoshop does all the math for you. To see Adobe's explanation of the other Stack Modes, click here. So, a simple answer for us is Stack Modes (Mean) can be used as a replacement for the old Frame Averaging technique. From time to time, everyone has a question or two about using Photoshop - that's why this blog exists. When you start Photoshop Help (see above), the new Adobe Community Help window opens. You can search product help from Local Help, Community Help, or Adobe.com by using keywords or browsing through a list of categories and topics to locate specific information. Local Help looks through the help files on your local computer, Community Help gets its product help online, and Adobe.com accesses the help information on Adobe.com. When you search the help files using keywords, a list of possible answers is shown from the search location with the most likely responses at the top. Along with help text, some help topics include links to text and video tutorials (when available). Additionally, comments and ratings from users are available - adding to the value of this new help system. You can add your own feedback and suggestions by signing in to Adobe.com using your Adobe ID. One way to check and see if an image is authentic, or a composite, is to look at the macroblocks (compression component) in Channel mode. The macroblocks, or groups of pixels, should be the same size and orientation. One sure sign of a fake is if the blocks change in size from one part of the picture to another (cut/paste) or in both size and orientation (cut/paste/rotate). You may need to check each channel to be able to see this effect as the compression macroblocks may be more apparent in one channel vs. the others. Remember, it's just not possible for an image editing program to compress one side of an image differently, or at a different angle than another. This just in from Adobe: "Last week, Photoshop CS5 quietly introduced some new functionality: the Photoshop Knowledge Panel. This panel, located inside Photoshop, delivers interactive step-by-step guidance, walking you through some 70 tutorials written by expert authors that not only give you great tips, but also drive Photoshop: clicking links executes commands. 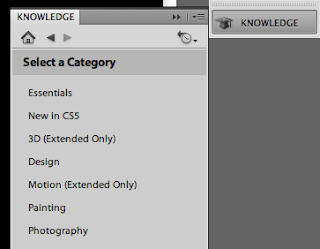 To try out the new panel, make sure you have Photoshop CS5 installed, you've logged in using your Adobe ID and password (click the little "CS Live" icon in the upper right corner), then look for Knowledge under Window-Extensions." 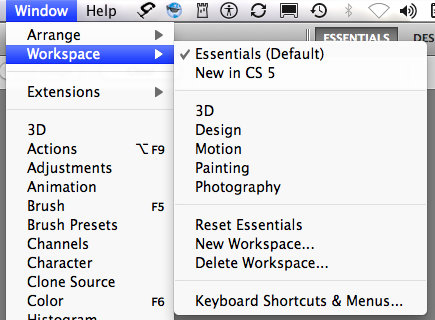 Workspaces in Photoshop CS5 now save themselves when you switch between them. Adobe calls these "Sticky Workspaces." With Sticky Workspaces, your panels and other settings stay the same way you left them when you move from Workspace to Workspace. Photoshop also provides a reset option to reset the workspace to the default. Additionally, Adobe has modified the method to switch between workspaces with a new option in the Application Bar that allows you to access workspaces more easily. Many software applications and systems provide access to a large suite of components, many of which are not useful to a particular laboratory or for a specific examination. The practitioner must demonstrate knowledge and competency of those components used but does not need to demonstrate it for those components that he/she does not use. The practitioner must understand the basic principles of the component and the effects of changing settings within the software application. It is important to understand what artifacts are likely to be produced using any particular component of a software application and how to recognize and interpret them. The user must be able to recognize when a component is not functioning correctly and what steps, if any, can be taken to mitigate this." Sections 18 and 19 have been added to the Scientific Working Group on Imaging Technology (SWGIT) web page. Check them out and add your comments before the deadline. Adobe has announced the release of Lightroom 3. Click here to see what's new and improved. From Adobe's Shawn Deyell: "As anyone familiar with Audition already knows, its depth of features and functionality can sometimes be overwhelming. Because of this we often hear users explain how they stumble upon a time-saving feature they never realized had always been there in the application. One of these "hidden" features we hear of most often is the ability to batch export marker ranges as individual files. This feature is most useful for splitting a long recording into several individual assets, but it can also be used to create unique copies of the sections of audio that are most important within any open audio file." Click here to see how this works. This one works great for those extra long interviews - when the Attorney only wants little snippets for trial. From the e-discovery Journal: "A Judge ruled that Facebook wall postings and MySpace comments may not be subpoenaed based on the 1986 Stored Communications Act which is the same statute before the US Supreme Court in Quon v. Arch Wireless. US District Judge Margaret Morrow’s May 26, 2010 37 page Order in Buckley H. Crispin v. Christian Audigier, Inc. et al reversed a ruling from an US Magistrate Judge that defendants in a copyright infringement case could not subpoena private message on Facebook MySpace. This ruling is particularly interesting since the April 7, 2010 White House Order that all postings on blogs and social media sites are public meetings under federal law. Clearly courts will be vexed by these complex issues as social media continues to grow and change communications. It is any wonder that the 1986 Stored Communications Act may need to be updated or totally replaced since clearly the courts and the White House are not in synch?" We've just posted a GPS Data panel (download for Mac, Win) that extends the File Info dialog in CS5 applications (Photoshop, Bridge, Fireworks, Flash, Illustrator, and InDesign). The panel (see screenshot) offers a simple way to see parameters like latitude, longitude, and altitude. On the Mac, make sure you install into the main Library path, not the user-specific one. (Somehow I often stumble on that one.) Please make sure that the package files ("bin" and "manifest.xml") go into a folder called "gpsData." "... Rather than using plain ol' Google search, I recommend the much more efficient Premiere Pro Community Help search. I assure you that the Premiere Pro Community Help search will find virtually everything worthwhile about Premiere Pro that a regular search on Google.com would---and the Community Help search will filter out a tremendous amount of noise/garbage. The Community Help search is actually a Google custom search engine that I maintain. I enter websites that have been vetted as being of high quality and as providing free resources about Premiere Pro, as well as other Adobe software." "... Trying to understand video color precision is, well, a confusing task. There are so many different terms floated around - 8-bit and 10-bit color are used to describe cameras, while software talks about 8 bits per channel, 16 bits per channel, and 32-bits per channel "floating point" color. What does it all mean?? And, for the colorist, how does Premiere Pro handle color?? If these are burning questions in your mind, then read on."